Our Adventure Playground Equipment Is Naturally Inspiring! We design, manufacture and install outdoor gym & playground equipment for public play areas, schools and nurseries. Wide range of outdoor adventure play & fitness equipment for all ages designed for public play areas, adventure parks, pubs & campsites. View our range of playground equipment for schools & nurseries. Our play equipment is safe & robust - designed to make leaning fun. Why Action Play & Leisure? 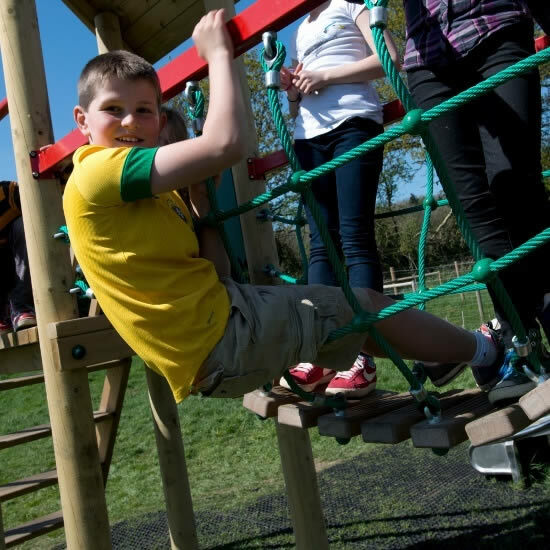 We are a specialist adventure playground & outdoor gym equipment supplier for schools, nurseries, public play areas. parks, campsites & pubs. View a range of great value playground designs costing from £3,195 to £50,000. This playground range show you how much a high quality and BS EN 1176 / 1177 compliant play area is likely to cost. Prices include delivery, installation and safety surfacing. Climbing Frames, Play Towers, Swings, Slides, Springers, Roundabouts, See Saws, Aerial Runways, Trampolines and more. We design and manufacture a complete range of playground equipment from timeless favourites to bespoke designs. Our range of outdoor gym equipment for children, teens and adults, now includes 4 discounted outdoor gym sets. These outdoor fitness machines will really help to improve fitness, strength and co-ordination from children aged 5+, teens, adults and senior citizens. We have over 60 different adventure trail items to create an innovative trim trail for you. We can emphasise climbing, balance, strength, fitness, fun, co-operation or any combination you like. Checkout our special discount trim trails for even better value for money. 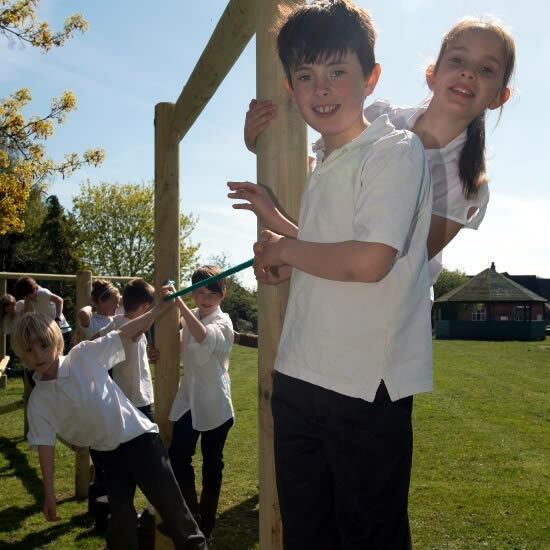 We want all children to be able to have fun in a playground - so we design special adaptations to our outdoor play equipment so they are accessible for all children. See our wheelchair swings, wheelchair roundabouts & our inclusive play towers. Need Help To Transform Your Playground? Using our innovative modular design methodology we can create fantastic one-off designs for a very competitive price. We have created boats, forts, castles, spaceships and more, so talk to us about your design ideas and we can create something special for you. We have 9 different climbing frame themes. All built using our modular design framework, so we can incorporate towers, shelters, slides, ropes, climbing wall panels and more. We can customise our designs to maximise the play value for the space and budget you have.